The diamond is coming! Are you ready? 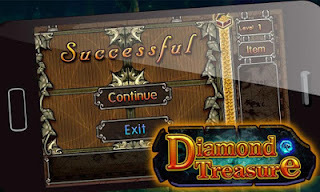 The TOP 1 elimination game of AppStore, Diamond Treasure, shows its dynamite debut on Android Market! It seems that you are in a mysterious world accompanied with lively relaxed music, experiencing the charm and allure of diamonds. So what are you waiting for? The Diamond Treasure must be your good friend to kill time when you are waiting for your friends, taking a bus, or anytime when you don’t know what to do! 1.Simple operation. 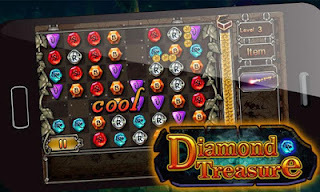 Match 3 or more identical diamond to eliminate and get score. 2.Various challenging modes. Scores challenge mode, show us how much score you can get; Elimination challenge mode, show us your game talents. 3.Unique score system, eliminating the diamond quickly can get extra scores. 4.Superb graphic, wonderful background music. Be hurried to play with your friends! Show us who can get the most diamond! 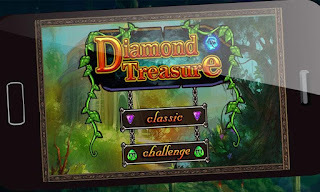 Please follow us and share our games with your friends, and you will surely get more lovely games!